If you want to try something new on facebook then keep on reading this post. How to write upside down on facebook, twitter, myspace or blog? There is a website http://www.fliptext.org/ which provide this facility. 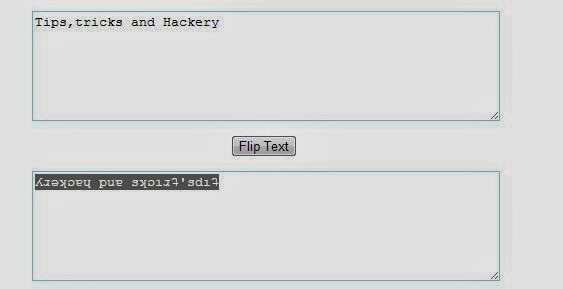 Just type your text in the box and in another box below it your text will be appeared flipped. Copy your flipped text and post it wherever you want.